Komola Collective (KC) is a London-based theatre and arts company dedicated to telling the stories that often go untold - stories from women's perspectives. 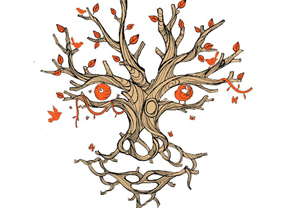 KC was formed in 2012 by four female theatre practitioners: Leesa Gazi, Filiz Ozcan, Sohini Alam, and Caitlin Abbott. We have come together from diverse backgrounds. We are writer, director, actor, musician, illustrator, facilitator, composer, and designer. We all have inimitable stories and unique experiences. We want to revisit history. Challenge social taboos. Unearth myths. Retell known stories. Question accepted beliefs. Birangona: Women of War was KC’s debut production. 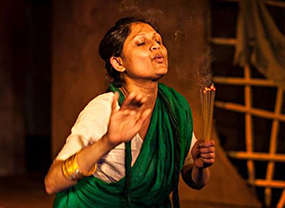 In August 2013, Komola Collective travelled to Bangladesh to work on the R&D stage of the play. In 2014, Komola Collective completed the UK and Bangladesh tour of Birangona: Women of War, which was nominated for the Offie Award. The UK tour was supported by the Arts Council of England.